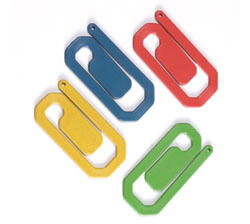 Metal Detectable Paper Grips - Multiple Colors Available Sold by the pack. 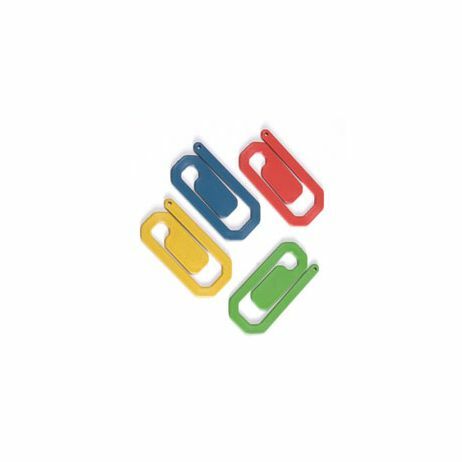 5/pack We understand your dilemma of taking documents and paperwork around the processing floor – No Staples allowed, no paperclips allowed… Enter The Metal Detectable PaperGrip, which is the safer way to remove the commonly used small, hard to see paperclip. The PaperGrip holds securely up to 30 sheets of paper, includes the recycled, high impact-resistant Super X metal detectable polymer, making the PaperGrip a safer and an environmentally friendly solution to a very simple problem.